31900 S Las Vegas Blvd. Denny's is America's Diner. Where guests have come for over 60 years to sit back, relax and enjoy classic American comfort food and everyday value 24 hours a day, 365 days a year. 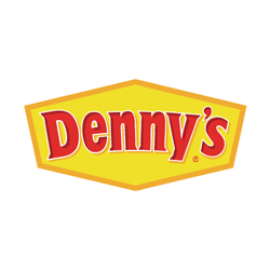 Over the years, Denny's has gained a cult association with its popular all-day signature items like Moons Over My Hammy,® Sizzlin' Skillets, hand-dipped Milk Shakes, 100% Beef Burgers and the world-famous Build Your Own Grand Slam®. Its expansive menu features delicious, innovative options for appetizers, lunch, dinner and dessert, catering to the taste and dietary requirements of every guest that walks in the door - which makes us a great place to bring the kids and family. And now you can enjoy the New! 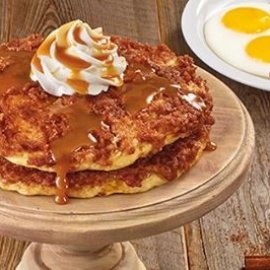 Dulce de Leche Crunch Pancakes with cinnamon crumb topping cooked into two fluffy buttermilk pancakes and served with warm caramel sauce for drizzling. Real ingredients. Freshly crafted. It's just the latest addition to our seriously upgraded menu! Dedicated to everyone who says, "i'm lovin' it”. To our super fans – We salute you. Some of the best memories are made at the breakfast table. And for more than 50 years, millions of people have made those memories at IHOP.